Promoted Hannover have completed the signing of Brazilian striker Jonathas from Russian outfit Rubin Kazan. The 28-year-old, who has also played in Brazil, the Netherlands, Italy and Spain, has put pen to paper on a contract until 2020 in Lower Saxony. 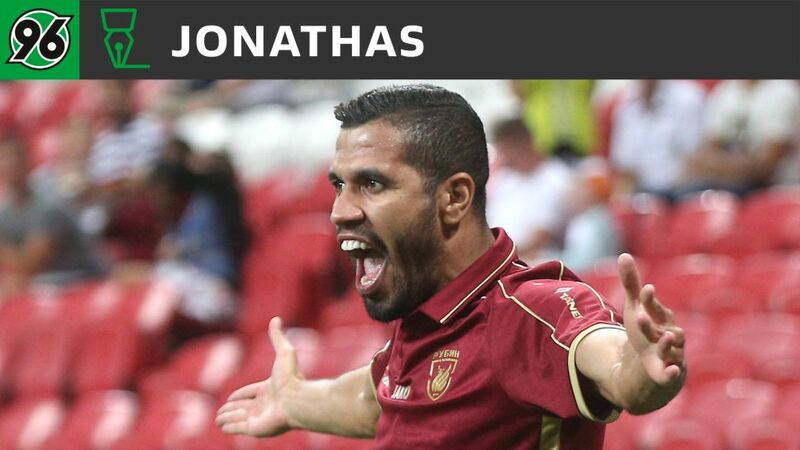 "I'm really pleased that the move to Hannover has worked out," said Jonathas. "After several clubs in my career, I want to settle down in Hannover. My aim is to help the club secure safety and help out by scoring goals. I've only heard good things about my new team." "As far as strikers go, Jonathas ticks all the boxes for us," said Horst Heldt, Hannover's sporting director. "He's imposing physically, dangerous on both feet and good in the air. He's scored goals wherever he's been and that's what we're expecting from him in Hannover. Jonathas represented Cruzeiro, Ipatinga, Alkmaar, Brescia, Torino, Latina, Pescara and Elche, before moving to Kazan from Real Sociedad in summer 2016. He scored 13 times in the Russian Premier Liga, taking his senior career tally to 81 goals in 229 competitive appearances.